Simple Solution newsletters have been providing a professional and easy way for lawn and landscape companies to stay in touch with clients and prospects for over 20 years. Since 1987, we’ve created six fresh and new issues each season. Our Simple Solution program is the simplest and most economical newsletter plan available. You just pick the issues that make sense for you based on timing and content. We'll then personalize parts of each issue for you, and we'll handle the printing and delivery to you on a set and dependable schedule. Minimum order of 3 issues of 6 per season. Newsletters can be machine-folded at no charge. Price includes shipping to one location in the continental 48 states. 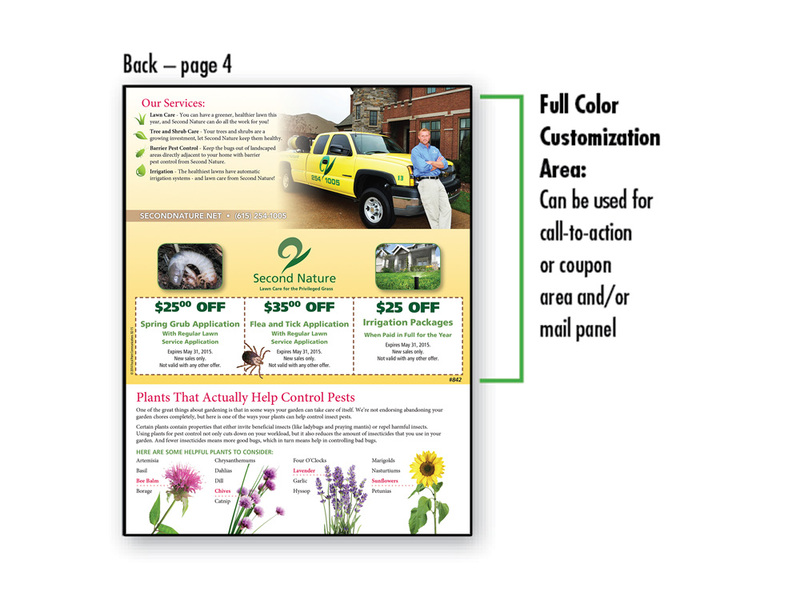 All mastheads, mail panels and coupons print in full color. Content/articles based on topic schedule below. Your newsletter will include our pre-written and designed articles. Each newsletter will include your full color masthead, as well as a full color "call to action" and/or mailing panel on the back page. 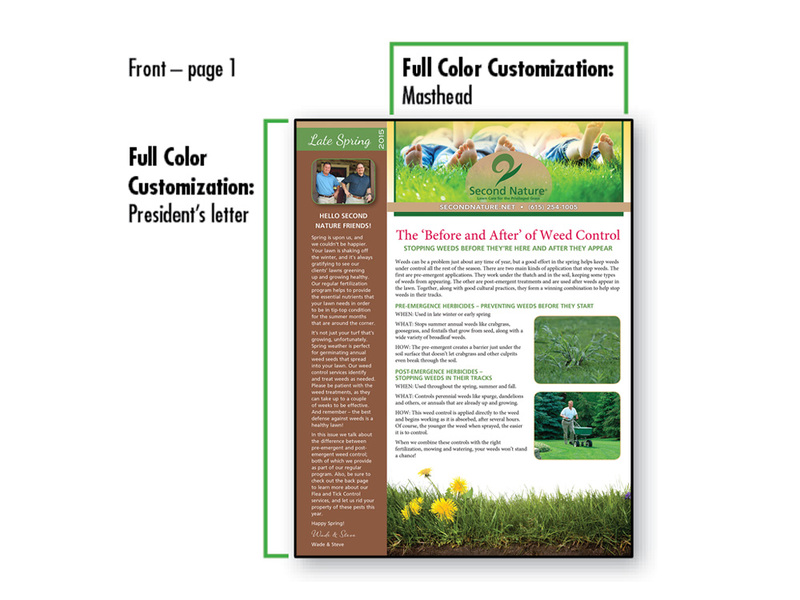 We will ghost write two "Letter from the President" options for each issue; one which will be Lawn Care specific, and one which will be Landscape specific. We will use the President's Letter that matches your company best, and we can include a photo of you so it looks like you wrote it.